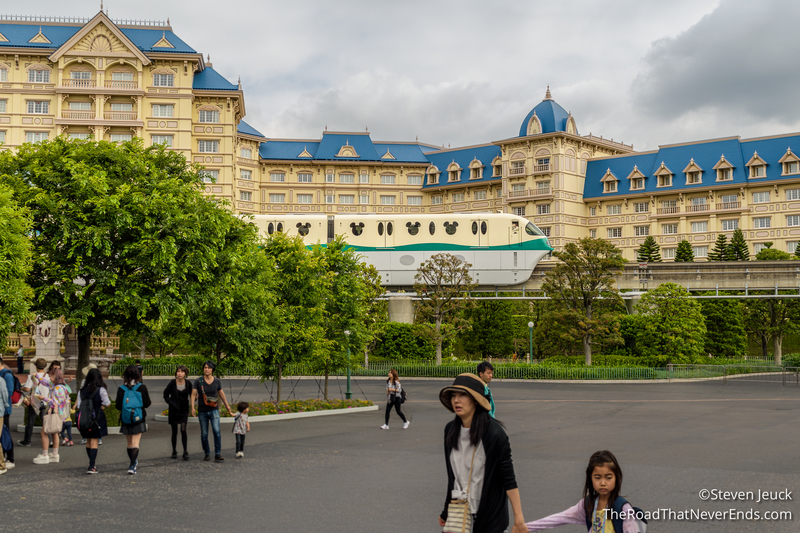 Our journey to travel to all the Disney theme parks took us to Disney Tokyo Resort! 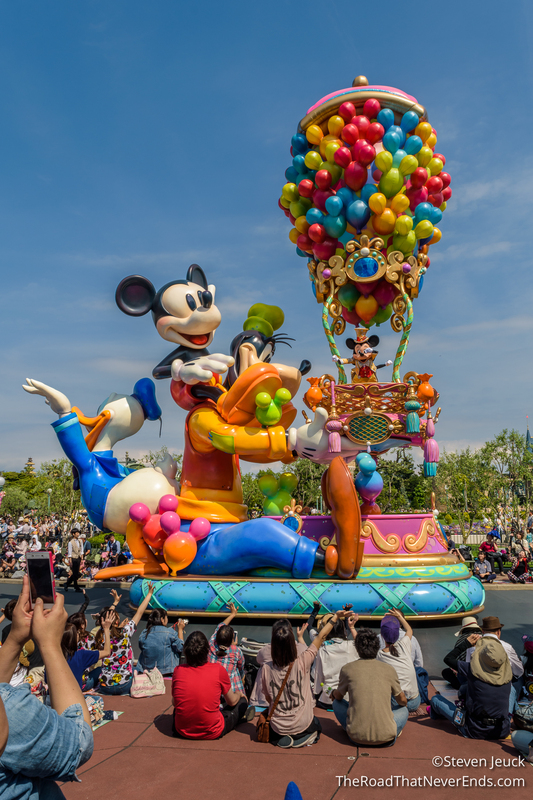 Tokyo Disney Resort consists of two theme parks: Tokyo Disneyland & Tokyo DisneySea, 3 Disney Hotels, and a shopping mall. 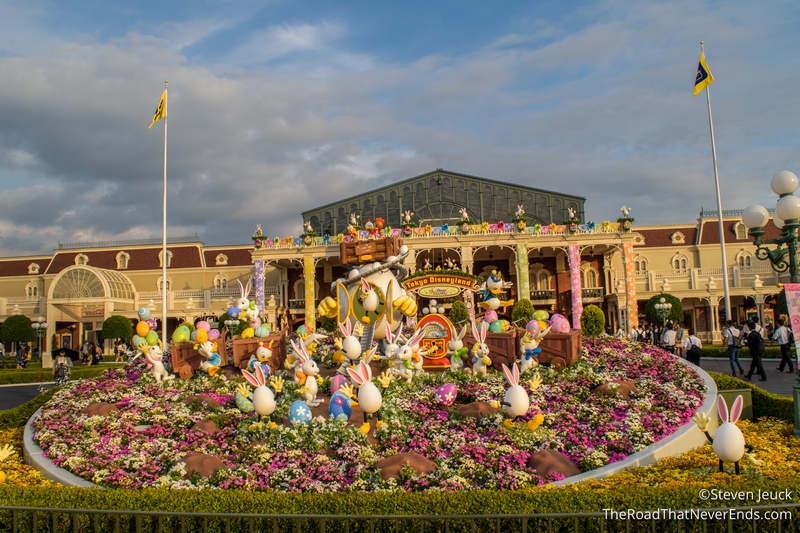 Disneyland & DisneySea both have stellar reviews on various Disney tourism blogs and after Shanghai, our expectations were high. Interesting enough, the resort is owned by the company Oriental Land Company, not Disney! Disneyland was built in 1983, to mirror other similar Disney “Castle” parks. DisneySea was built in 2001 – and has been claimed by many Disney bloggers to be the “best” Disney park. Japanese culture is one that loves and adores “cute”. 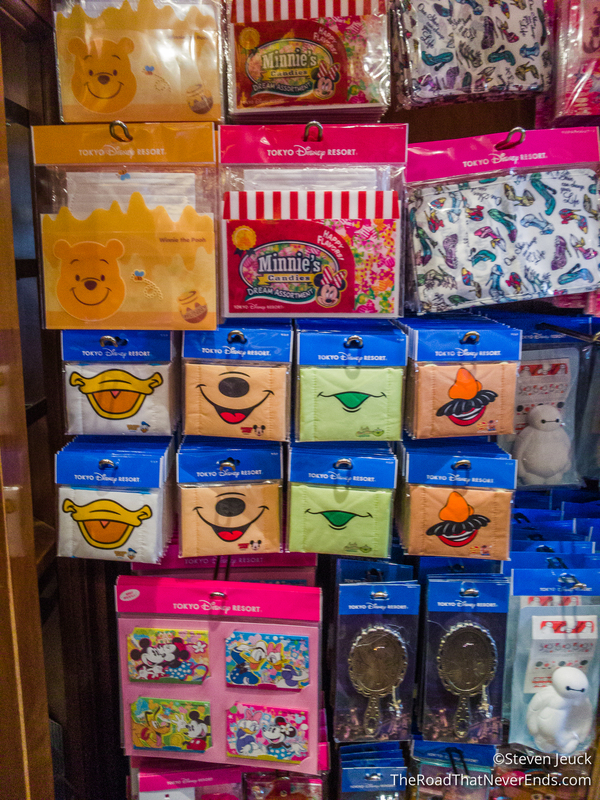 Hello Kitty, Anime, and other cartoon characters are very popular here. 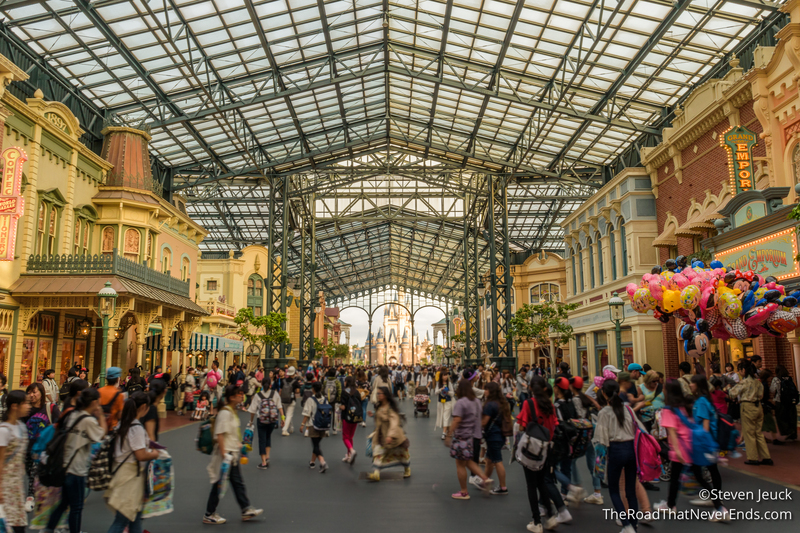 This is why Tokyo is an optimal spot for a Disney park and why it makes the locals such die hard Disney enthusiasts. From downtown Tokyo, we took the JR train to the Maihama station, which conveniently dropped us off at Ikspiari shopping complex (similar to Downtown Disney). We had about a 15-minute walk to our hotel which wasn’t bad at all. Our hotel was less than 10 minutes away from DisneySea and offered a shuttle to Disneyland, which made transportation quite easy. Disney Resort also offers the Disney Resort Line Monorail – a paid service connecting the two parks, Ikspiari shopping complex and Hotels. We ended up buy a one-day ticket for this service for each day we were here – and got a free Disney Resort Line Pin once we showed them to the staff! The monorail was quite nice, and very clever with its Disney decorations and facade. We stayed at a cheap hotel called Mystays. It was actually nice, and much larger than our downtown hotel. It even included a foot massager in the room. The hotel didn’t have a free breakfast, but considering they had a free shuttle, we thought it was a good deal. Similar to Hong Kong & Shanghai, we had trouble using our American credit cards online. We had to purchase through the third party buyer, Klook. 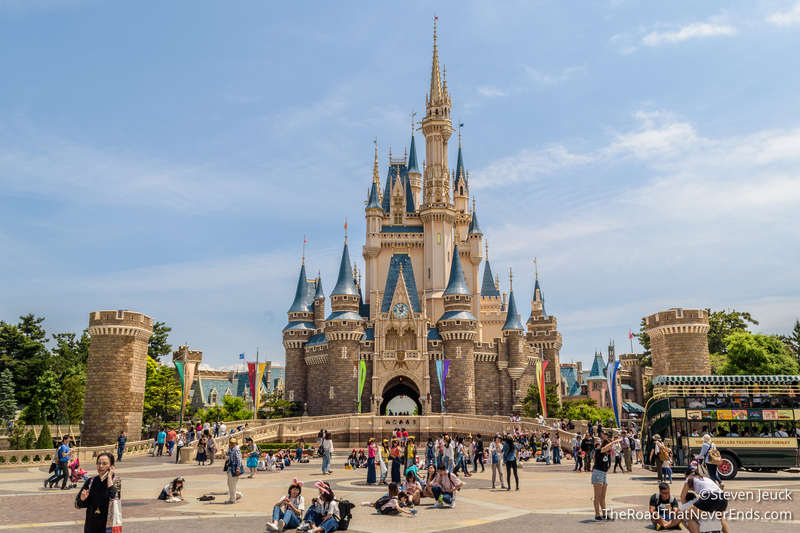 We decided to do 3 days at Tokyo Disney Resort – which was all we really needed. Tokyo is known to have insanely packed days, with 2+ hour plus lines. We got pretty lucky, when we looked at the crowd calendar, our visit coincided with pretty low attendance days. Plus, we had poor weather, which only helped with the crowds. I can see how visiting during peak travel times, you may need more than 3 days to truly see it all. For 3-day passes, we had to assign a park to day 1 and day 2, and on the 3rd day, the pass automatically becomes a park hopper allowing us to go between both. We had planned on seeing Disneyland on Day 1, DisneySea on Day 2. For both the first days, we arrived at park opening, and made it to park closing – 9AM – 10PM – which was exhausting but worth it. Our goal was to see and do it all! World Bazaar – It may be called World Bazaar, but underneath the canopy, it looks pretty similar to Main Street at Disney parks. Unlike Main Street, there is a perpendicular street in the middle that leads to Tomorrowland one direction and to Adventureland on the other. We also found a Penny Arcade and the Magic shop with live demonstrations here! 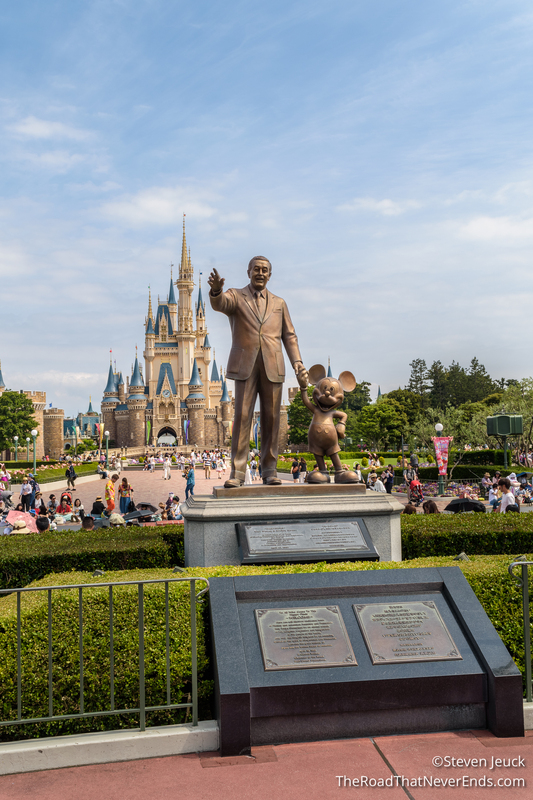 Tomorrowland – The Tomorrowland in Tokyo is similar to Disneyland, but has a lot more space. It felt like there were many paths in and out of the area itself. We were disappointed that Space Mountain was closed during our visit. We also did not go on the Stitch Encounter, which we read is similar to the Turtle talk and considering we do not speak Japanese, didn’t think we would get much from it. Lastly, the StarJets are closing in Tokyo this October, and even though we didn’t ride them, it reminded me of my childhood visits to Disneyland’s Tomorrowland. Monsters Inc. Ride and Go Seek – This was the new attraction in 2013, so we had high expectations. The dark ride is somewhat similar to the one that was at California Adventure, except with much better animatronics, and the use of flashlights as an interactive feature. During the ride we would shine our flashlight on different features to reveal more monsters or surprises. Steve and I both enjoyed this ride, until the very end – the brakes were sudden and hard, and our entire car moaned in agony of the constant brake and go motion. I am not sure if that is regular, but since we only went on the ride once, it’s all we know. This ride is a Fastpass line, and fastpasses were out by 2PM. Monsters Inc. Ride & Go Seek! Buzz Lightyear’s Astro Blasters – With the exception of it being in Japanese, it was the same exact ride to Disneyland, Hong Kong and WDW. It is one of Steve’s favorites, so we of course we went. 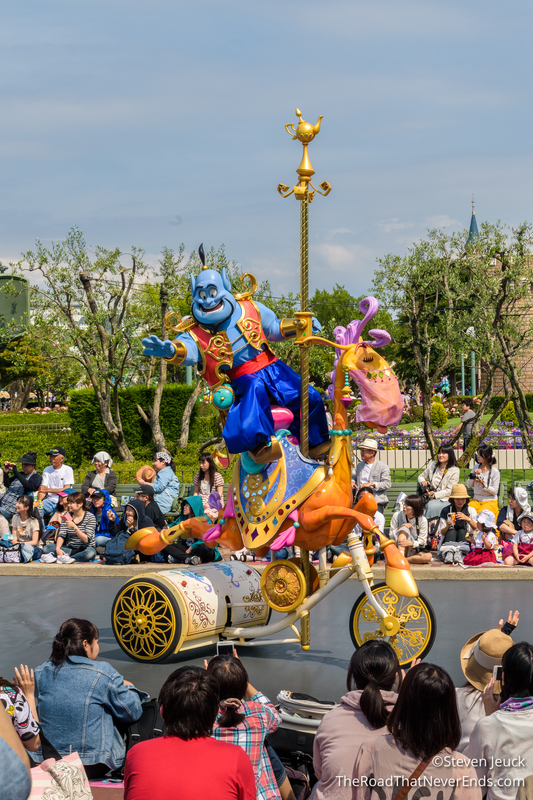 We were surprised, the ride cars themselves were not in the best shape paint wise, which contradicts everything else we have seen in Tokyo Disneyland. Star Tours: The Adventure Continues – This is also the same ride as Disneyland California (except in Japanese). The queue similarly entertaining too. 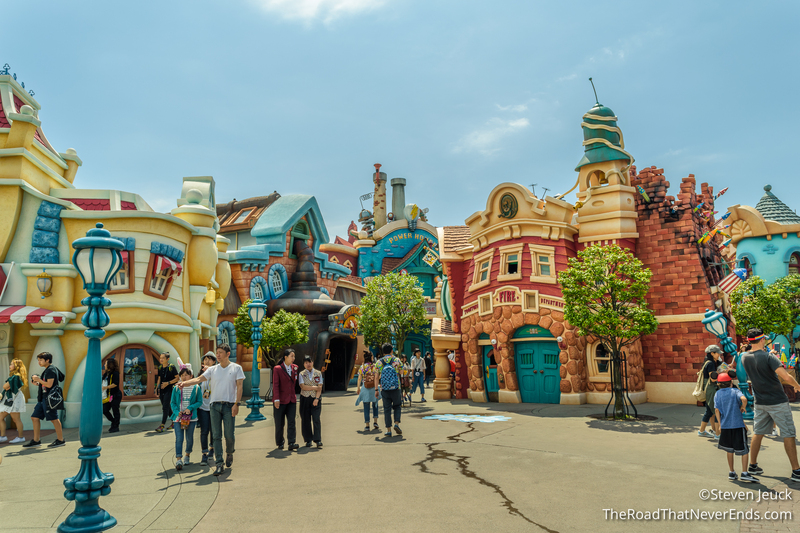 Toontown – Comparable to Disneyland’s Mickey’s Toontown – with the main ride being Roger Rabit’s Car Toon Spin. Also located here is Minnie’s House, Donald’s Boat, Chip ‘n Dale’s Treehouse, Gadget’s Go Coaster, and Goofy’s Paint ‘n Play House (for kids). We spent quite a bit of time here during lunch and saw many characters roaming the streets, including the Three Little Pigs, Donald, Goofy, Pluto, and Daisy. Roger Rabit’s Car Toon Spin – Exact same ride, except in Japanese and better maintained – the colors are brighter, paint looks fresh. Critter Country – This is a small area with only two attractions: Splash Mountain and Beaver Brothers Explorer Canoes. Splash Mountain – My favorite ride at Disneyland and still a class act in Tokyo. Yes, they are singing in Japanese, but I can’t stress enough how good the animatronics all look. The ride is also extended slightly from the Disneyland/WDW version, using the same boats as the WDW version. Steve and I did the single rider line for this. What tripped us out was they don’t prefer to put men with women, so we had to wait some time for a seat. 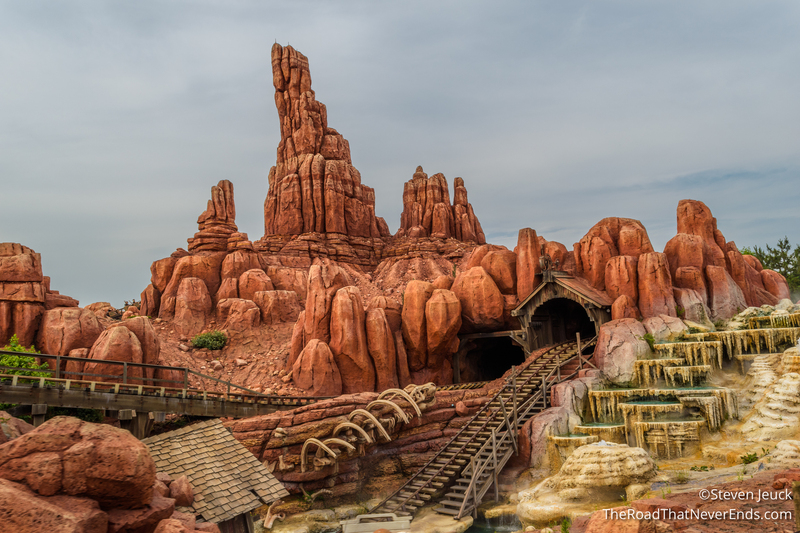 Big Thunder Mountain – How can anyone not like this ride. This might be the only ride where I felt the Disneyland’s animatronics were better. Still, the ride was amazing. 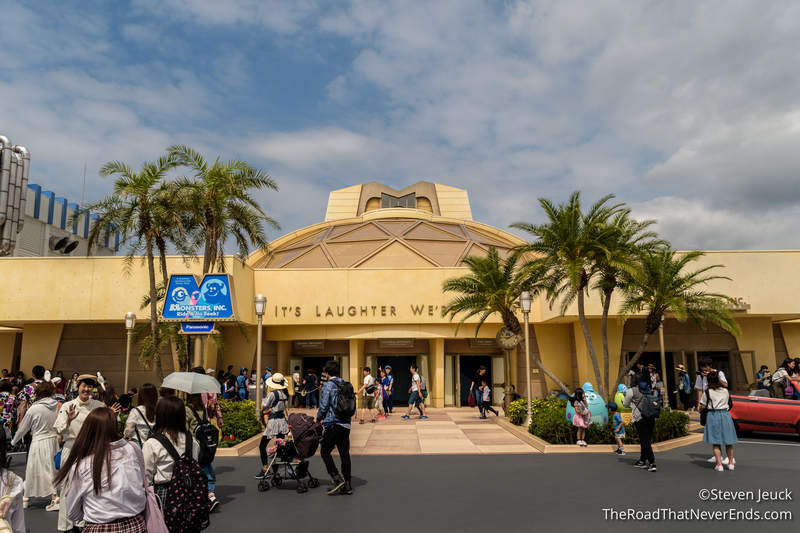 Westernland Shootin’ Gallery – This is always on our list to check out in Disneyland, but here in Tokyo, you get a prize for scoring a 10/10!!!! However, the price is close to $1USD a game! Adventureland – Tokyo took the best of Adventureland and New Orleans Square from Disneyland and made it into one giant area. The only attraction we couldn’t do was The Enchanted Tiki Room: Stitch Presents “Aloha E Komo Mai!”. I had read on a few blogs that this show was bad, but I didn’t care I really wanted to see it. However, the attraction was closed during our trip. Next time I will check it out! Western River Railroad – Tokyo has some special rules that if you were to create a railroad with more than one stop, it would be treated (and taxed?) as a normal one, like the Metro. Disney would have to charge the “customers” a fare. To avoid this, Disneyland has a one stop Disney Rail ride. You get on and off at the same station and only ride it for the joy of trains. The train ride was as cheesy as it was at Disneyland and included a trip to the “Grand Canyon” & “Dinosaurs”. With that being said, I loved it. 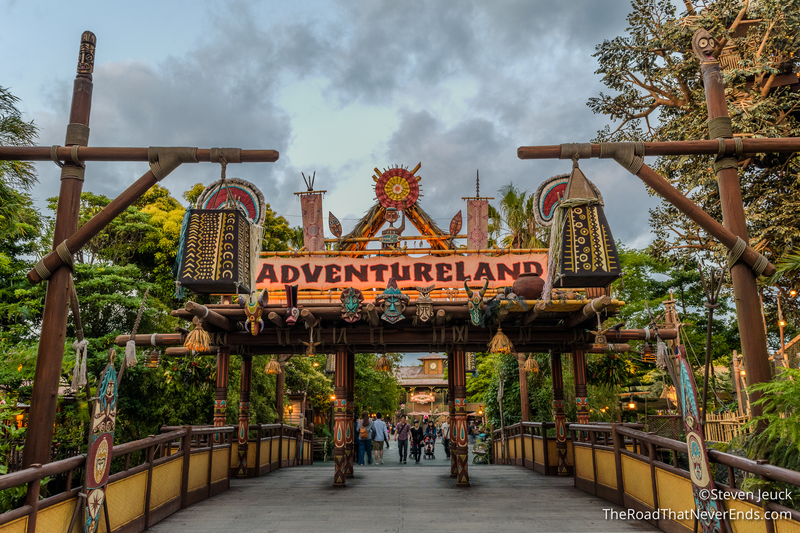 The ride also only circles the Adventureland, Westernland and Critter Country – not the entire park. Pirates of the Caribbean – We have been spoiled with Shanghai’s version of Pirates, that it was a bit odd returning to the classic Disney ride. The ride is the same as Disneyland, with only minor differences (including the language). Jungle Cruise – We had read online to do this ride twice, once during the day and once at night because it is different. We did see some differences as far as lighting but that was it. The entire ride is in Japanese; they do not have an English only boat – but we still had fun. In fact, our first skipper was so animated, we laughed a lot. The animatronics are fantastic and they added some different elements than the ones in the US. 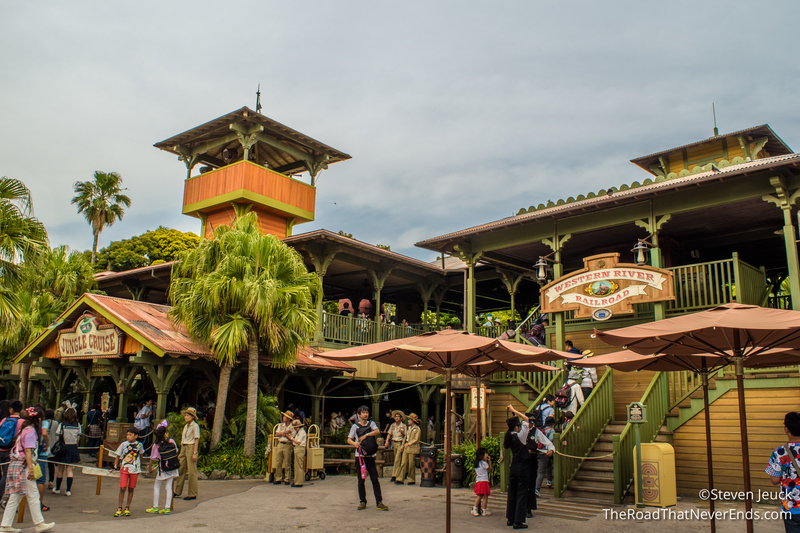 Swiss Family Treehouse – Flash from the past! Disneyland has since changed their treehouse to Tarzan theme. The Treehouse was just as I remember it, but also gives spectacular views of the castle! 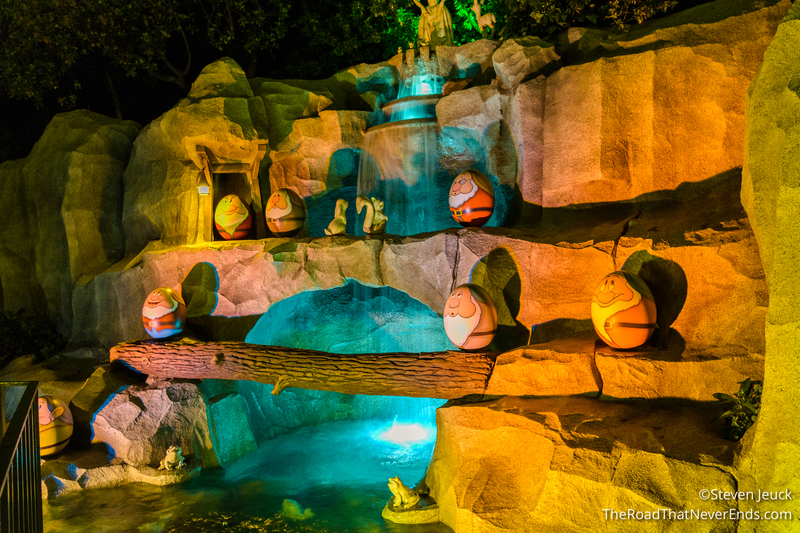 Fantasyland – We saved most of these rides for the end of the night. Very similar to all Fantasylands – lots of kids, and lots of cute rides! I was bummed that It’s a Small World was closed (I think Steve was excited). I read that it is going through 18-month renovation, I look forward to riding it when we return. The Castle Carousel was also closed and boarded up when we were there, which made for some ugly area photos. The rides are very similar to Disneyland and Disney World with Peter Pan’s Flight, Snow White’s Adventures, Alice’s Tea Party, Dumbo The Flying Elephant, Pinocchio’s Daring Journey, and Mickey’s Philhar Magic. I was surprised to see the Haunted Mansion was located in Fantasyland. The Castle in Fantasyland is themed to Cinderella, and even has a walk through exhibit. 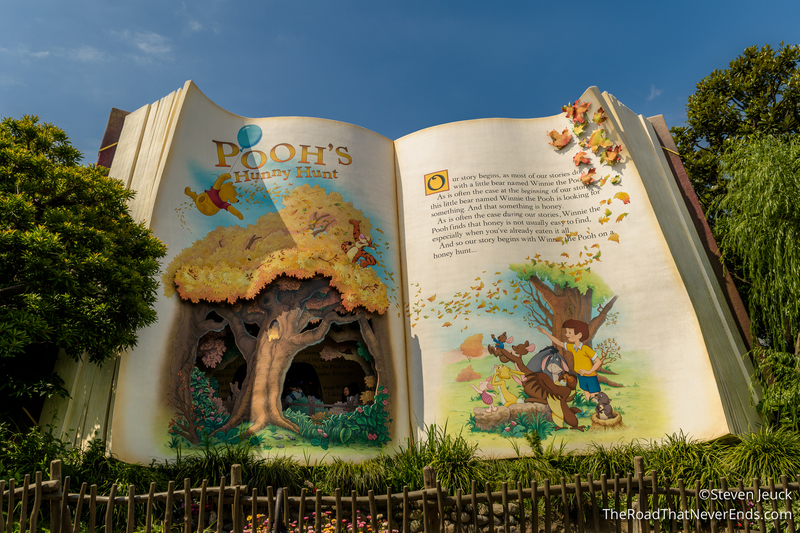 Pooh’s Hunny Hut – This ride is AMAZING. Similar to Hong Kong’s Mystic Manor, this is a trackless dark ride. The animatronics are amazing (and furry) and going from scene to scene was seamless. From the cars gathering for a story time, to dancing around – it was a lot of fun. We went on the ride twice! Haunted Mansion – With the exception of the singing in mostly Japanese, the ride is the same. I still think Disneyland has better effects, especially with the bride room. Still, a very fun ride. 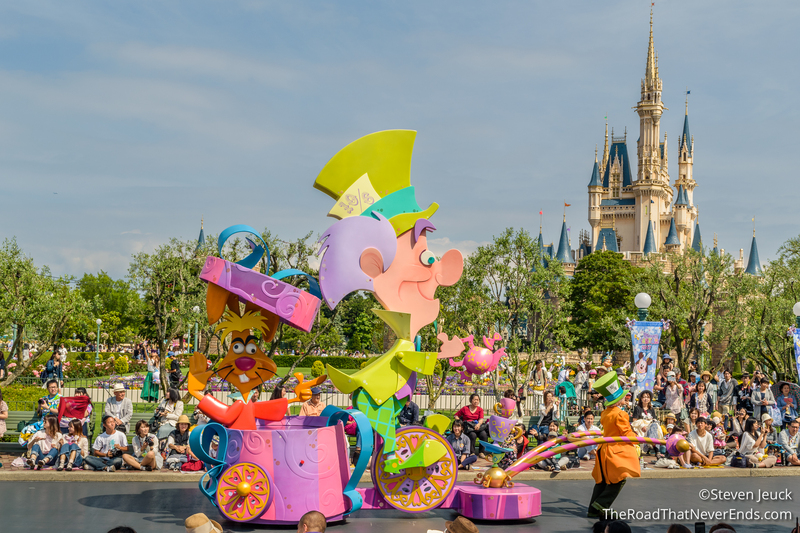 Happiness is Here – This daytime parade was so freaking cute and surprisingly really long. The floats were magnificent and the energy was high. Loved it. 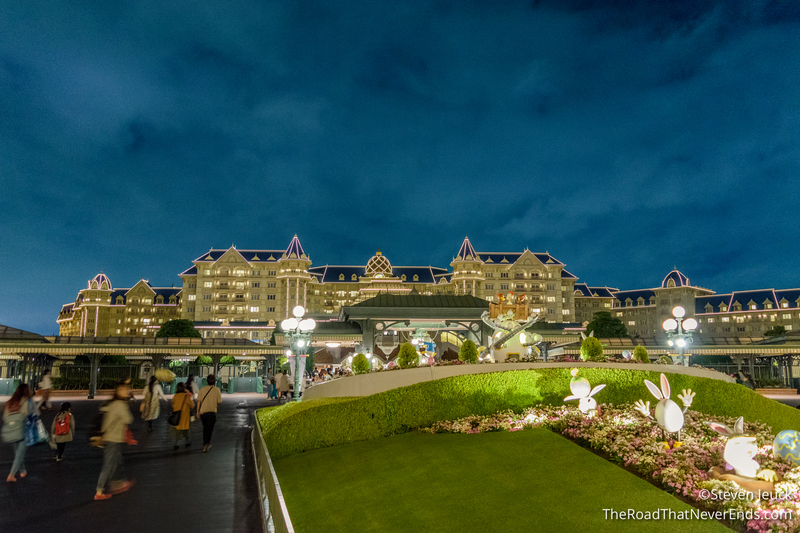 Tokyo Disneyland Electrical Parade Dreamlights – It is the electrical light parade, except enhanced! Fantastic! Once Upon a Time – A 20 minute show with projections, water features and fireworks around the castle. Reminded me of a Disneyland Fireworks show, except just around the castle, no fireworks really high in the sky. Show is in mixture of Japanese and English and a lot of fun. We noticed a lot of people leave the park after the show – time for rides! Shopping here is BIG and especially CUTE. Wearing Ears is HUGE here, boys, girls – everyone wears them. 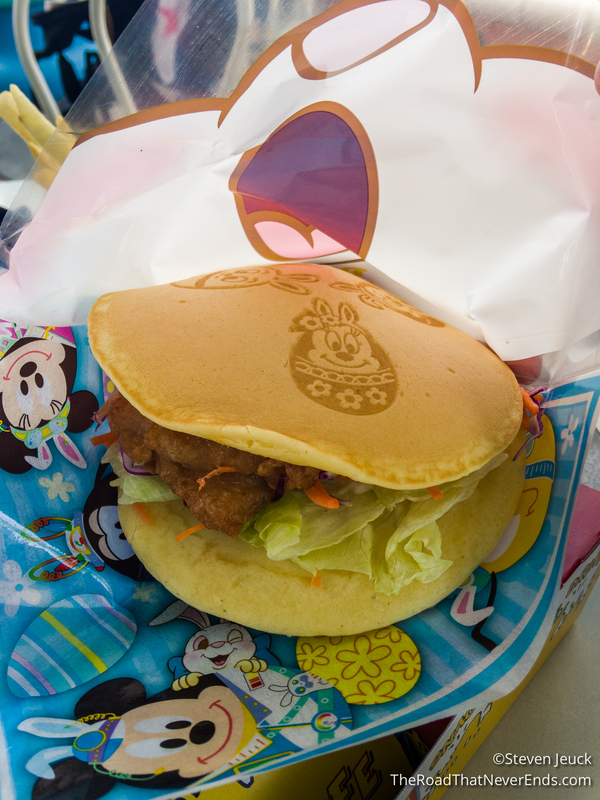 One thing that Tokyo Disneyland wins is guest participation – everyone rocks cute Disney items. There is also an opportunity to play carnival style games in hopes of winning giant plush dolls. 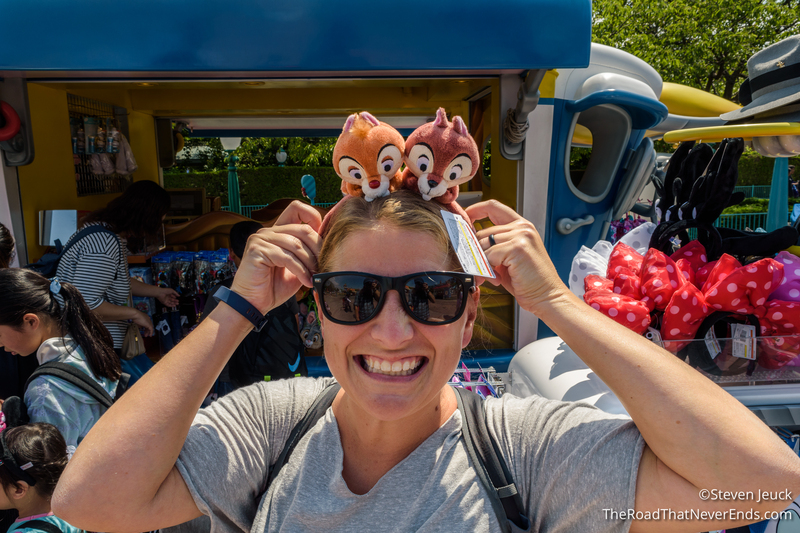 Steve and I played a ball in cup type game in Adventureland and lost – but still got a prize! Huey, Dewey, and Louie’s Good Time Café (Toontown) – We ate lunch here, and once we survived the crowds, really enjoyed it. Steve tried their famous pancake sandwich, while I enjoyed some Mickey Pizza! Toontown Mickey’s Trailer – We had read on a Foodie blog to try the Pizza Egg Roll… it was ehh okay. Sweetheart Café (World Bazaar) – We came here for some Mike’s Melon Bread. It’s melon bread (a popular Japanese treat) shaped like Mike Wazowski! China Voyager (Adventureland) – We ate dinner here for some classic Chinese cuisine and loved it! 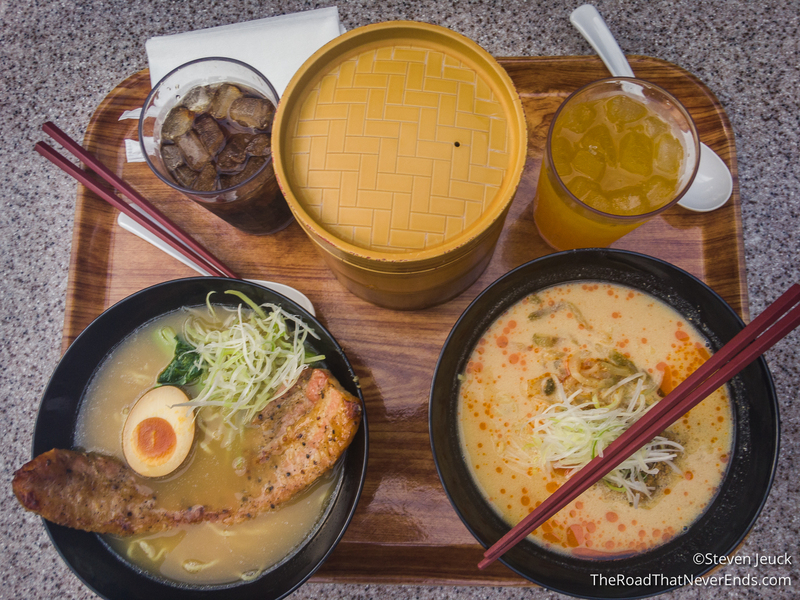 The ramen was sooooo good. The photo/selfie craze is big here, and selfie sticks ARE allowed. The park attractions are all in Japanese, but signs are in English. Most of the Cast Members speak at least a little English. Enough to give you directions, but don’t expect them to hold a full conversation. The park has the best toilets ever – I am not kidding. It makes sounds to “help” you pee, plus the craziest bidet. Nobody is “too cool” for Disney here. Everyone is fanatic, I LOVE IT. “Twinning” is big here (dressing identical). Some people are really into it, and get every detail from head to shoe right. Men/Boys wear Minnie/Mickey ears all the time, sometimes to “Twin” with their girlfriend/wife. Characters are often walking around the park but people are told not to queue up. Instead we all circle around the character and he/she will pick people to take photos with and interact with. I found this to be extremely challenging. At park opening there are probably 30-50 employees holding “Do Not Run” signs… but many people will fast walk/jog right by. People wait hours to watch shows and parades. Everyone brings a plastic sheet to sit on while waiting. We spent one full day, from opening to closing – and LOVED it here. We can’t wait to return!